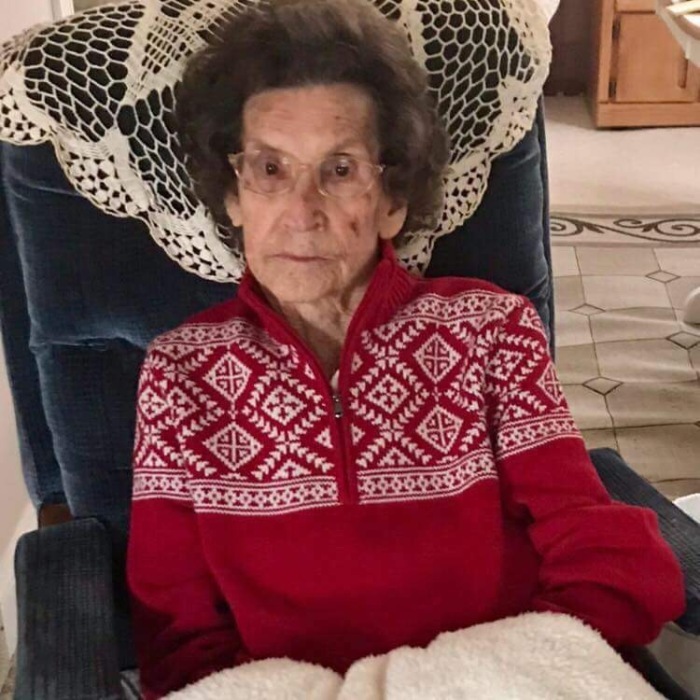 Juanita Osborn 94 of Greenup KY went to be with the Lord on Wednesday, April 11, 2018 at her son’s residence in Flatwoods. She was born in Floyd County on May 30, 1923 a daughter of the late Leon & Virgie Preston Fannin. She was a member of the Wurtland Church of God. She was preceded in death along with her parents by her husband Kennith Eugene “Gabby” Osborn and a son Robert Fannin. She is survived by six sons, Roy Osborn of Greenup, Ronnie Osborn (Darlene Kazee) of Flatwoods, Larry Osborn and his wife Sue of Richmond, Denver Osborn and his wife Ellen of Georgetown, Teddy Osborn of Greenup and Rick Osborn and his wife Madonna of Wurtland; 16 grandchildren, 21 great grandchildren, 2 great great grandchildren, two daughter in laws, Dorothy Fannin and Cecil Osborn of Georgetown along with a host of extended family and friends. Funeral services will be 1:00 PM Saturday, April 14, 2018 at Wright’s Funeral Home in Greenup by Dr. Tom Melvin. Burial will follow in Bellefonte Memorial Gardens in Flatwoods. Visitation will be from 11:00 AM till the time of the service Saturday at the funeral home. In lieu of flowers donations may be made to Community Hospice 1480 Carter Ave. Ashland KY 41101.